A fabulous new novel from the bestselling author of Behaving Like Adults. Hannah thinks you have to be absolutely nuts to want to get married. She's quite content with her life thank you very much -- her job as a private investigator for Hound Dog investigations, Jason, her boyfriend of ten years standing, and her relationship with her wonderful dad (pity her mum is such a disaster). Besides which, she's tried marriage once but she and Jack ended up divorced before she was 21: it was a bit much to ask a girl to stay faithful when she's scarcely out of her teens and the world of full of wonderful men. So when the long-suffering Jason proposes, Hannah doesn't think twice about turning him down. But would she have said no if she'd known that only a month later Jason would be engaged to someone else? Is she really the emotional retard that Jason thinks she is? Maybe, just maybe, there's something in his theory that being committed means first coming to terms with your past. 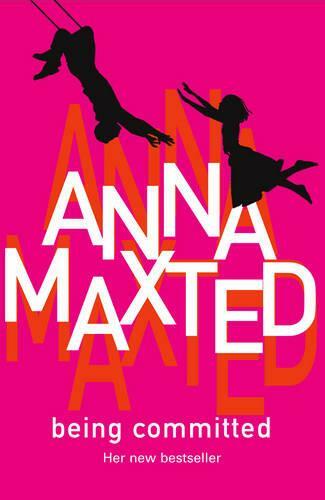 Brimming with the warmth, perception and understanding that characterizes Anna Maxted's writing, Being Committed mixes heartache with humour and is perhaps her finest novel yet.